Summer is here and your Spanish timeshare awaits your arrival. Hallelujah! Two weeks in sunny Spain; isn’t that what the timeshare is all about? Summer holidays are all too precious for us rain-soaked Brits, so before you head to Spain, it’s worth making a plan in order to make the most of your holiday, otherwise it can fly by before you even know it. 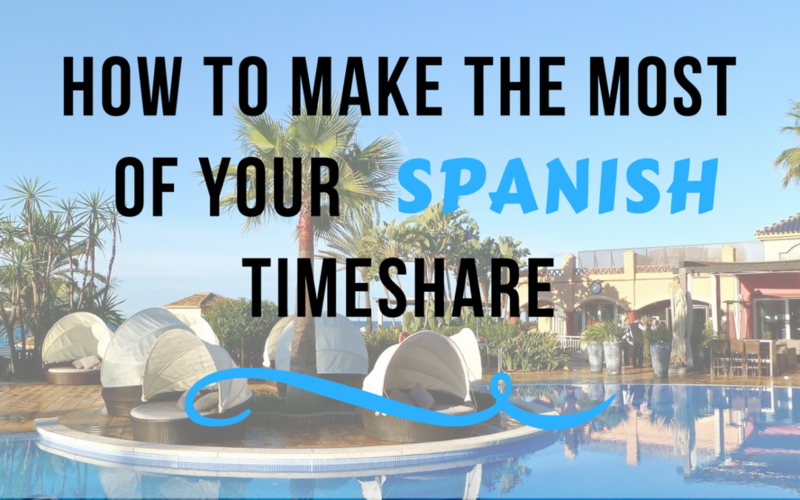 Here’s what we would suggest for making the most of your timeshare in Spain this summer. First and foremost, if you’ve got a timeshare, use it! It sounds pretty obvious but so many people don’t. The most common reason for failing to take advantage is the inability to secure a date. You might need to be flexible, in order to make the most of your timeshare. Compromising on your ideal travel dates is better than completely forgoing your holiday. If you’ve got a timeshare, the great news is that you’re free to take as many people with you as you like. So, if you’ve got a big family, why not make the most of the accommodation and turn your holiday into a family celebration? It might be a little cosy, and some of the younger family members might have to sleep on the floor, but owning a timeshare means that, during your allocated time slot, you have far more freedom than you would with an Airbnb. Plus, if the whole family contribute, you’ll be paying a lot less for your annual fees. You’ve got a timeshare in Spain, so you need to explore Spain. Yes, it’s very tempting to spend your time horizontal, relaxing by the pool, but you can do that anywhere. Spend at least a few days of your break doing things that you can only do in Spain. Check out some local, live Flamenco music, explore the nearby landscape on an adventure walk or eat the finest of local cuisine that you can’t get anywhere else in the world. If you want to exchange, get in early! If you’ve been travelling to the same place in Spain year after year, you might fancy a little bit of a change this time. If so, it’s really important that you get your exchange request in as soon as you possibly can. This will give you much more freedom to choose when and where you go, whilst ensuring that your own timeshare doesn’t go unused for a year. Timeshare Advice is owned and operated by Advanced Business Consultants Legal SL | Registered in Spain. CIF: B-76721562. | We are NOT solicitors.